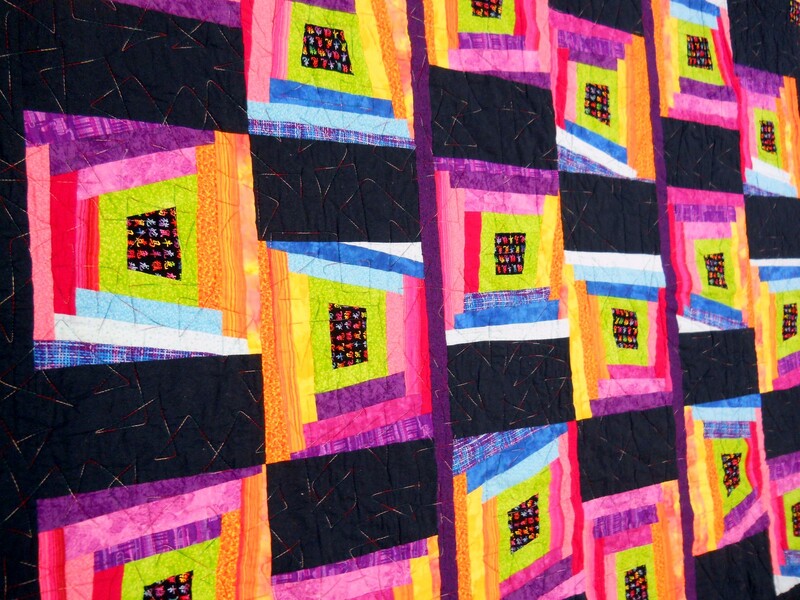 The New Gloucester Public Library is currently having a quilt raffle. The quilter, Brenda Cookson, is the grandmother of a couple of our young library patrons. That may be why the colors are so bright. (Good bright colors for a dull February). The tickets (on sale at the library) are now on sale at the library and will continue to be sold until our Cabin Fever Book and Bake Sale, February 9 (or February 16 if we have a blizzard). The tickets are selling $1 for one or six for $5. The quilt is about the size of a large twin.